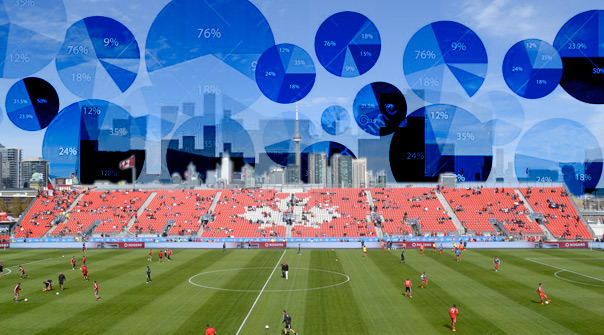 Last year, as an introduction to my style of analysis and to give a non-biased view, I wrote an analytical preview to each of the Canadian clubs heading into the 2013 MLS season. I think there is value in trying to step away and just look at the numbers, as in many cases our hopes and cynicism can easy allow us to either over value or be to critical. Personally I have followed and collected data regarding the MLS since its inaugural season in 1996 so although my interest and enjoyment following the league has increased since the introduction of the Canadian teams I think I’m able to look at all teams for what they are player wise oppose to the city they play in. With the recent off-season moves of Toronto FC, and the fact I’m based in this city, it’s going to be difficult not to assume I’m giving my home team favouritism, especially since I see them as one of the top teams in the league this season. However, when you look at the Toronto FC roster going into this campaign it’s difficult not to feel there will be high expectations based on the previous success of accomplishments from their core players. 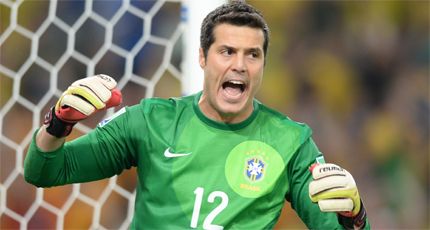 Toronto FC’s most recent surprise this off season was the addition of Brazilian national team goalkeeper Julio Cesar. With Cesar reported to currently be on 90,000 pounds a week from a contract he signed with QPR two seasons ago, it’s difficult to see how he fits under the supposed MLS salary cap unless QPR is paying all his wages. That being said, on the pitch he should provide a major upgrade for the time he is with the team. Best known club-wise for his time with Inter Milan, Cesar is known as a great shot stopper and a player who is able to make the big save when asked. He did struggle a bit with QPR last year during their EPL relegation battle, but this less had to do with the saves he was asked to make and more to do with the pressure that QPR were under, which in many cases is out of the goalkeeper hands. Cesar is only scheduled to be with the team until the World Cup Finals, which means a large number games, including potential playoff games, will rely on last year’s keeper Joe Bendik. Bendik received praise last season for how he played, and even though he was under similar pressure as Cesar at QPR, I have concerns in terms of how effective Bendik can be. Last season he had one of the worst save percentages at only .647% of the shots he faced on target, when in soccer an above .700% would be regarded as average. Bendik also struggled, however only in limited play, the season before in Portland only having a .579%. Which means this could be a worry and depending how Bendik plays, TFC could start 3rd Keeper Chris Konopka or be in the market for another keeper. Toronto made offseason upgrades in this position with the starting full-backs on paper for week one being the on loan Bradley Orr. Orr played 18 games in the English Premier League but is mostly known as an English Championship quality player. There is also Justin Morrow who was an MLS All-Star in 2012 and made his debut with the US National Team a year ago against Canada. Both would be regarded as more defensive full-backs, especially in comparison to the starting left back last season Ashtone Morgan. 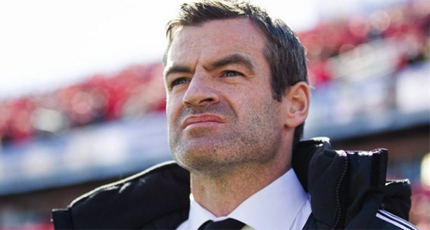 These two other options fit Coach Ryan Nelsen system and should give more freedom, especially Michael Bradley, to take more risks in the midfield. 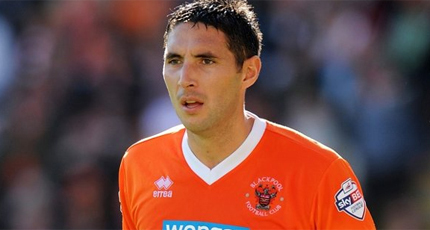 Morgan returns as a left back/left wing option whose strength is his speed and ability to hit the quick cross while Mark Bloom provides some depth on the Right. 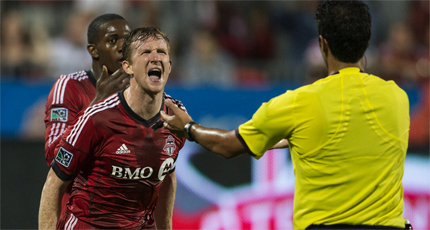 Toronto FC player of the year last season, and one of the bright spots, was that of Centre Back Steve Caldwell. The Scottish defender also has Premier League experience but his time in the lower leagues probably had a greater influence in his ability to handle style of play in the MLS. Caldwell took control of the box as well as being last defender in many situations which lead to a large number or clearances and blocked shots. The favourite to partner Caldwell is Canadian International Doneil Henry, who will need to improve a number of aspects of his game to stay in this position. Henry struggled defensively under pressure including giving away fouls which lead to opposition opportunities and put him at risk of being sent off. As well, with the ball he only completed 68.4% of his passes, and despite showing an ability to score at the Canadian Youth level he didn’t connect with one shot/header on target last season in league play. The alternative is Gale Agbossoumonde, who has great athletic upside but struggled in his awareness of the game making less plays than Henry. Rookie Nick Hagglund showed some promise in college, especially with the ball, although there an is uncertainty in his ability to handle MLS forwards both in open play and inside the box. 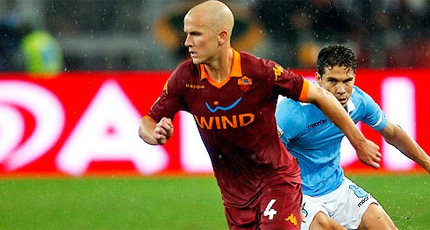 There will be much expected from Michael Bradley this season based on the amount of money Toronto and the league paid for his services and the fact he is a key player for the US National Team for the 2014 World Cup. I expect Bradley to handle the pressure, however, based on the position he plays this might not reflect in his goal and assists totals especially if Toronto wishes to use a defensive midfielder in their formation. Bradley will be heavily involved in the buildup play and should have the most touches in the game, which is a good thing as he averaged over 90% of his passes while playing in Serie A. The question will be how many of those passes will be key passes, or how many shot opportunities will he be given? This will depend on who is playing with him in the midfield and his role, including during set-piece opportunities. Jeremy Hall is the only other true box-to-box midfielder on the roster and arguably if you wish to use him as a starter it could give Bradley more freedom to be involved in offensive play. The issues is Hall has shown to be an average MLS player at best and he will need to improve his passing awareness if he wishes to be used more than just Bradley’s backup. The effectiveness of the more attacking midfielders might make the difference of Toronto being a clear favourite or fighting for a playoff spot. Despite being 35 years of age, I feel this will be impacted most by Dwayne De Rosario. 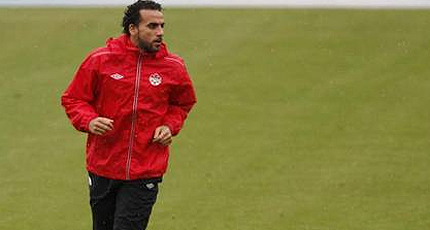 Last season was a struggle for DeRo, missing games with injuries and only scoring three goals and two assists. However, if you look at some key stats he still was an offensive threat over 3 shots per 90 minutes including 22 on target, over one key pass per 90 minutes and earned more than one free kick in dangerous areas per 90 minutes. If he is able to do the same this season, one can expect a greater number of goals and assists. New signing Jackson will partner DeRo on the left and reigning him in might be the most effective way of using him. Jackson had some issues in Dallas taking too many shots with only 28.3% being on target, and he also had a large amount of turnovers, miss passes, fouls and disciplinary issues. However, he had high offensive numbers, especially for a player in his position, so if he is able to limit his mistakes he can be useful player. Who plays on the right is the biggest question. As I’ve said, you could play a 4-2-2-2 and start Hall, or you can play a 4-1-3-2 with De Ro in centre, Jackson on the left and either Jonathan Osorio or Alvaro Rey on the right. Most Toronto fans would like Osorio, although the concern is most of his success last season, especially his goals, was playing a more free role in the centre and will need to stick to the wing in this formation to be effective. Rey might have the greatest skill set, but has yet to show he was worth his reported $200,000 salary last season and is less of a runner than the other two. Who wins the position is still up in the air but the key is the player must give his teammates space and opportunities to be effective. Finally, Canadians Kyle Bekker and Manny Aparicio could see themselves playing most of the season in Wilmington. Arguably they could provide depth for De Rosario or Jackson, although in terms of the depth chart they are behind Osorio and Rey in all three midfield roles. Minutes with the first team for Bekker and Aparicio should only happen if the others struggle with injuries. On paper, Toronto does have the most effective strike partnership in Jermain Defoe and Gilberto. Both scored double digits in goals competing in leagues regarded as better than MLS, so will be expected to do the same this season. The question remains: will they be effective as a combination and will they get enough opportunities to convert them into goals? 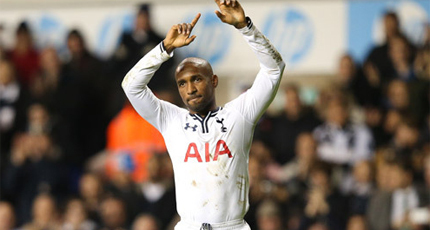 Throughout his career Defoe has had strong numbers in terms of passing efficiency, creating opportunities for himself and converting on these opportunities. The issue while playing in the EPL is he wasn’t overly involved in buildup play and had one of the lowest touches of the ball count in the league. Since historically his conversion rate is better than comparable players in the league (Thierry Henry, Robbie Keane and Marco Di Vaio), I expect him to be effective scoring a goal every 66 minutes or 2 goals every three games, which should make him one of the top scorers in the league. In the case of Gilberto, he was effective running to the pass especially on long balls and was also very good at converting his opportunities. Gilberto played as an on loan striker with Portuguesa almost in a Di Vaio role in Montreal, so in Toronto he will have to work with Defoe. This could be an issue as his passing stats were 15% less than Defoe and also had issues with turnovers and fouling. This being said, many goals in MLS does involve taking advantage of mistakes via pressing or counter attacks, and if Gilberto has the same conversion rate as he did in Brazil I expect him to score double digit in goals this season. With the injury of Bright Dike the other forward option don’t really exists with Andrew Wiedeman’s most useful role might be a late sub when TFC is leading to provide pressure upfront. While new Homegrown player Jordan Hamilton, despite being a prospect, is still unproven so Defoe and Gilberto’s health will be imperative for Toronto to have a successful season. Using my statistical theory of projected results based on expected performance, I predict Toronto FC to score in the range of 52 goals and allow 39 goals for a plus 13 goal difference and 1st place in the Eastern Conference for the regular season. As you can see with my analysis, there is still many questions to be asked and converting this potential into wins on the pitch will be on the backs of the players as well as coach Ryan Nelsen. Because of this, I expect Nelsen to be fairly conservative, playing a diamond formation or potentially even two in defensive midfield. I also think he expects his wingers to play the sideline which means players such as Hall and Wiedeman might get minutes over more exciting talents in Rey, Osorio and Hamilton. The reality is you can’t blame him as conservative play has shown throughout soccer to secure victories, but more importantly attain points, and if Toronto performs as I predict I don’t think many will be complaining next fall regarding a first place team.